November 3, 2016 1B Dae-Ho Lee elected free agency. August 27, 2016 Seattle Mariners recalled 1B Dae-Ho Lee from Tacoma Rainiers. August 19, 2016 Seattle Mariners optioned Dae-Ho Lee to Tacoma Rainiers. March 27, 2016 Seattle Mariners selected the contract of Dae-Ho Lee from Tacoma Rainiers. February 3, 2016 Seattle Mariners signed free agent 1B Dae-Ho Lee to a minor league contract and invited him to spring training. 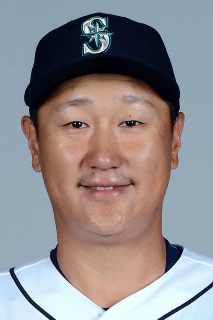 February 3, 2016 1B Dae-Ho Lee assigned to Tacoma Rainiers.